ORLANDO, Fla. - In true Florida fashion, get ready to break out your flips flops Saturday, then your scarves Sunday. 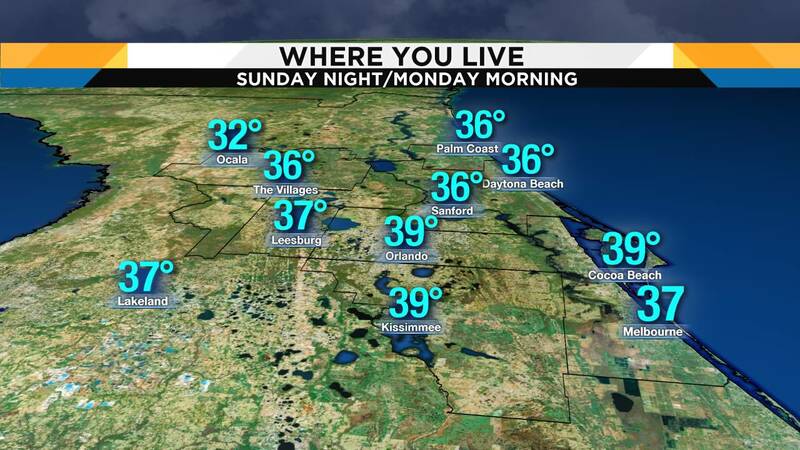 As we await the approach of our next blast of cold air, News 6 meteorologist Candace Campos said temperatures Saturday afternoon will run several degrees above average. 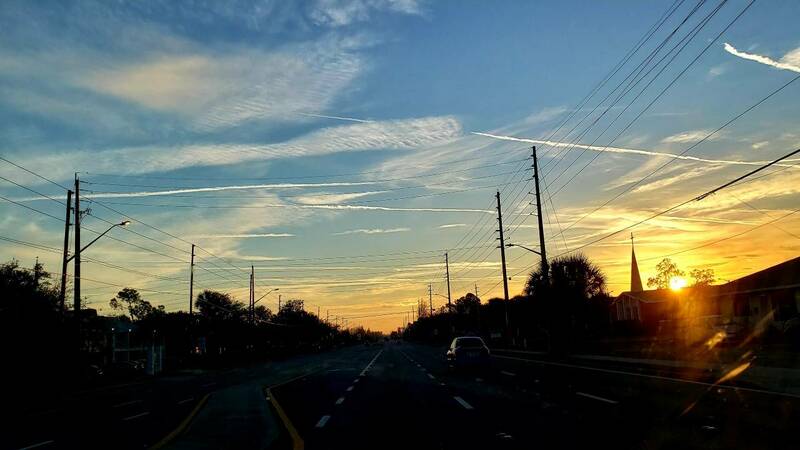 Though many other parts of the United States are weathering a winter storm, Central Florida temperatures will be noticeably warmer, with highs in the upper 70s to near 80 degrees. News 6 meteorologist Danny Treanor said rain and some thunderstorms will travel into Central Florida overnight between 1 a.m. and 6 a.m. Lows will range from 55 degrees in Ocala to 60 degrees in Orlando to 61 degrees in Palm Bay. "It warms up very little from there," Treanor said. A strong cold front will press through the panhandle early Saturday evening, then continue into north-Central Florida by around midnight, passing through our area by later in the night and very early morning. Most of the rain and storm activity should clear by daylight Sunday morning. Along the passage of the front, expect rain chances to jump up to 70 percent. "We are not anticipating a severe weather outbreak, but a few lightning storms will be possible," Campos said. Rain chances are 80 percent. Storms will move quickly at a clip of 40 to 50 mph. Torrential downpours could add up to around half an inch in spots. Heavier storms could bring occasional to frequent lighting and gusty winds. Locations south of the I-4 corridor will have the highest likelihood for rain by sunrise Sunday morning. Brisk westerly winds Sunday may prompt a lake wind advisory areawide. Wind speeds are predicted between 15-25 mph. Winds will remain strong into the evening, but are predicted to drop off overnight. "With this rapid change of weather expect a few days of roller coaster temperatures," Campos said. Overnight lows into Sunday morning will remain in the upper 50s to low 60s. Temperatures will stay at 65 degrees in Orlando, Melbourne and Daytona Beach. The early morning will bring a 30 percent chance of rain. The cold air will be driven by 20 mph winds with some gusts up to 25 mph. Small craft advisories will be in effect for boaters. The very cold air will settle in Sunday night and into Monday morning, with wake up temperatures in the mid- to upper 30s. Wind chills will allow the actual air temperatures to feel more like the low 30s in northern zones. "Sunday night will be the time to bring in any sensitive plants from outside," Campos said. Treanor added that though the night will be cold, it will also bring a rare lunar event. "There will be clear skies to observe the lunar eclipse near the midnight hours," he said. On Martin Luther King Jr. Day, highs will remain cold, in the mid-50s to low 60s. A gradual warmup will begin Tuesday.